I recently picked up the brand-new ice cream book, Sweet Cream and Sugar Cones, which is written by the owners of the Bi-Rite Creamery in San Francisco. This was the first recipe I made from it, but I’m dying to try many more. If you have an ice cream maker and enjoy converting your kitchen into a creamery, you definitely want to pick up this book! I am in love with this ice cream – it’s by far the best version of cookies and cream that I’ve ever had. 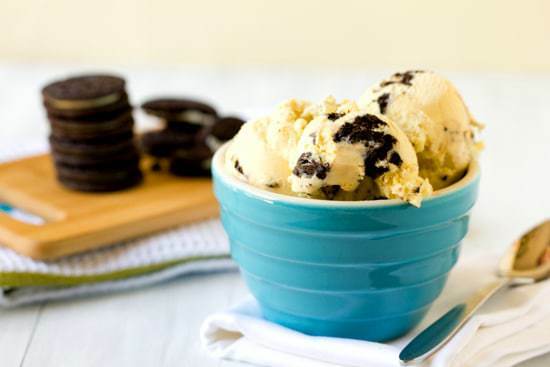 The base of this recipe is a wonderfully rich sweet cream, vanilla-scented ice cream and is loaded with chopped Oreo cookies. You might remember me talking about my grandpap’s love of Oreo cookies a few years ago when I made the Oreo Look-a-Like Cake. Since he has always adored the cookies, each year when we celebrate Father’s Day and his birthday in tandem, I try to think of a fun, new spin for dessert. This year, I used this ice cream as the base for an extra-special birthday treat. Stay tuned! In the meantime, you need to churn this up and sit down with a big bowl and a spoon. Trust me, you’re not going to want to share! Set a wire-mesh sieve over a large bowl. Whisk together the egg yolks and ¼ cup of the sugar in a large bowl; set aside. Warm the remaining ¼ cup of sugar, cream, milk and salt in a medium saucepan over medium heat. When the mixture begins to simmer, slowly drizzle it into the egg yolk mixture, whisking constantly, then scrape the warmed egg yolks back into the saucepan. Stir the mixture constantly over medium heat with a heatproof spatula, scraping the bottom as you stir, until the mixture thickens and coats the spatula. Pour the custard through the strainer and stir in the vanilla extract. Place the bowl in an ice bath and stir occasionally, until the mixture reaches room temperature. Cover the bowl and place the mixture in the refrigerator and chill at least 2 hours, or overnight. Churn the ice cream in your ice cream maker according to the manufacturer’s instructions. Once the ice cream is ready, layer it into your freezer-safe container with alternating layers of the chopped cookies, beginning and ending with the ice cream. Hi! 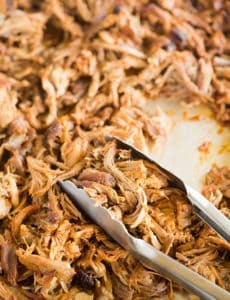 Can I double this recipe and have it turn out the same (cooking time/temperature)? 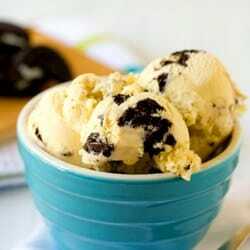 My ice cream maker is small so I’d like to be able to make two batches of this! Hi Katie, Yes you should be able to double without an issue! Hi! I’m lactose intolerant and I was wondering if anybody knows if this recipe will come out just as well with whole lactaid or an almond milk by chance? is the mixture supposed to be thicker than usual? Hi Vishal, Thicker than what? Are you referring to the custard? Hi Jean, You need to heat it to create a custard (and to kill any bacteria from the use of raw eggs). The temperature should be about 170 degrees F when you remove it from the heat. Can this recipe be made without an ice cream maker? It seems like it’s possible but since you mentioned in the post about having an ice cream maker, I thought I’d ask first. Thanks Michelle. I used your method for vanilla ice cream and it worked out very well! I guess I’m wondering if there is any type that can’t be made without an ice cream maker. Hi Vanessa, So glad to hear it! I’m not aware of any recipe in particular that wouldn’t work with that method. That’s exciting! I can’t wait to try it out. I’ve been trying a lot of ice cream recipes lately and I just LOVE this one! The proportions are perfect! It’s a perfect balance of sweet, salty, creamy and eggy. Thanks so much! I made scrambled eggs. What did I do wrong. Blew $10 in fresh raw cream. Thanks girl! I tried it again and it worked great. Neither cooking step takes very long. Very smooth and tasty end product. I made this for the first time Monday in my new kitchen aid ice cream maker attachment. At first I wasn’t sure how it was going to turn out, because all I could smell were the eggs and I despise the smell of cooked eggs. After I froze it, it turned out to be the best ice cream ever! The only change I made was I mixed the cookies into the ice cream instead of layering them. Absolutely delicious! I made this and it was the best ice cream I’ve ever had. Thanks for sharing! I’ll be trying the chocolate this week when I have family visiting me. I tried this recipe but it left a greasy film feel in the mouth. I’ve successfully made the tin roof ice cream, butter pecan ice cream and chocolte penaute butter fudge swirl ice cream. I just don’t know what could have been the problem and how I can fix that next time, any ideas? Is this the edited version with the correct proportions? I want to make this with my kids this weekend! Looks delicious! Thank you! Hi Lyds, Yes, the amounts are now correctly updated. Enjoy the ice cream! 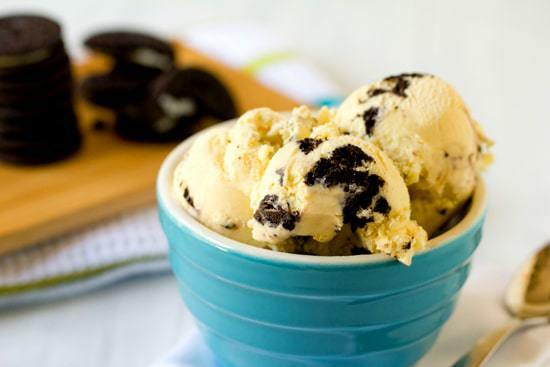 Just wanted to say, I made the cookies & cream ice cream for the Superbowl and it was a HIT! Thanks so much!!! The kiddos loved it! It was creamy, delicious, and with plenty of cookie chunks to satisfy every sweet tooth! I tried making this, and it was the first time I have not had luck with one of your recipes! The Bi-Rite book was actually waiting for me on hold at the library yesterday, so I picked it up and noticed several of the proportions were different from this recipe. Did you follow the Bi-Rite book or the recipe you listed here? I’m curious because I’d love to try it again. Thanks! I tried it again today with the proportions in the cookbook, and it turned out great! Thanks for the inspiration, I had never heard of the Bi-Rite Creamery before! Hi Tiffany, My apologies, I just checked the recipe and it looks like the post saved a draft version, not the final version. I used all the quantities in the book; I will get that edited. Thank you for letting me know, I’m so sorry you ended up with a bum batch! I made this today and the first thing I noticed is that the recipe does not call for as much cream or milk as many of the ice cream recipes I make. The custard seemed a bit thicker too. We liked the ice cream, but it was a bit too salty for our taste (and I LOVE salt). Next time I think we will omit the salt. (I cannot believe I am saying that!) Thank you for the recipe. 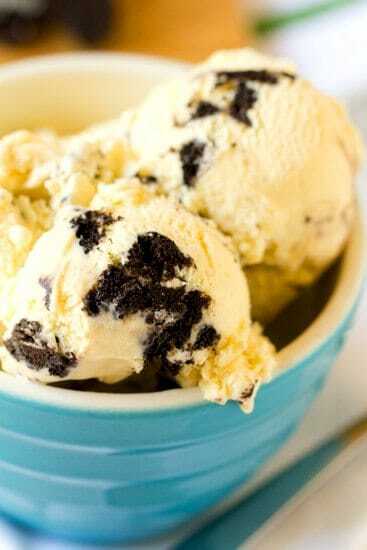 Oh boy cookies and cream ice cream. I’ll take two bowls please! I made cookies and cream ice cream last weekend but used the peanut butter oreo’s. You should definitely try those! Sounds delicious! Will definitely give it a try!